Today is a special day in the history of Salesforce. Our customer community is getting a new name, but it's more than just a name. It's a statement. And a big step into our next chapter together. 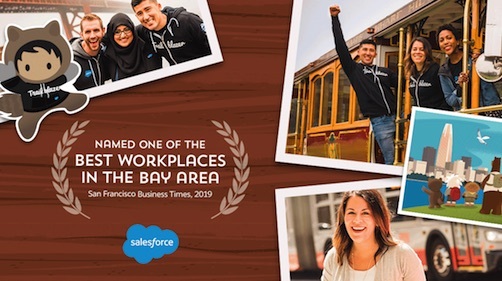 The Salesforce Trailblazer Community is a family, a force, a thriving tribe of game-changers like no other. Together, we show the world the power of Ohana, lifelong learning, innovation, and collaboration. We will lead the way to a brighter future as we inspire each other to blaze trails in our careers, companies, and communities. And we have a ton of fun and make lifelong friends while we're at it! We're excited to enter the next chapter with our new name and new look — the Trailblazer Community — which is purely inspired by you. It has been eleven years since we launched the online Success Community, followed by IdeaExchange, Community Groups, and the MVP program! 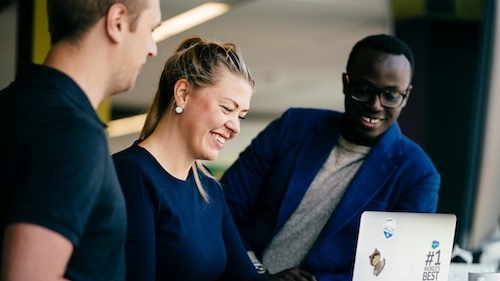 Over the years, our community members have constantly astounded us with your commitment to Salesforce, lifelong learning, and helping each other succeed. This is clear in the millions of connections you've made, feature ideas you've submitted, questions you've asked and answered, and Community Groups you've created. But it's bigger than that. You add new dimension to the concepts of Success and Ohana, the core of our Salesforce DNA. You've become a virtual family that spans the globe, propels the future of technology, and has tremendous power to do well and do good. You constantly push us to innovate so you can transform industries, deliver awesome user experiences, and accelerate productivity. We created Trailhead to help you learn critical Salesforce skills, improve your business acumen, and earn professional credentials. You've earned more than 3 million badges on your way to better jobs and better pay, but you didn't stop there! You've started an equality movement — bringing Salesforce and Trailhead to tons of new, diverse communities. You inspired Salesforce's definition of Trailblazer through everything you do. 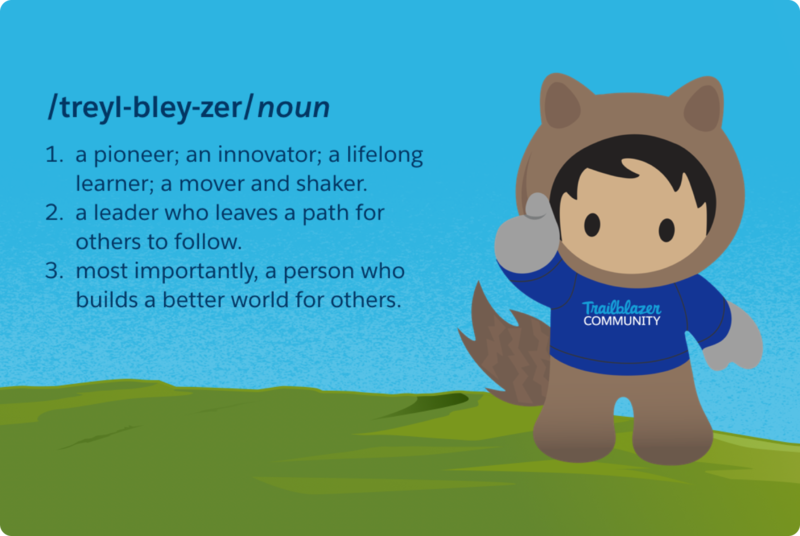 Thank you, wonderful Trailblazer Community leaders, and millions of members worldwide, for all you do to be your best and help others build a better world with Salesforce. We're excited about this big step into the future and can't wait to see what's next! New to Salesforce? 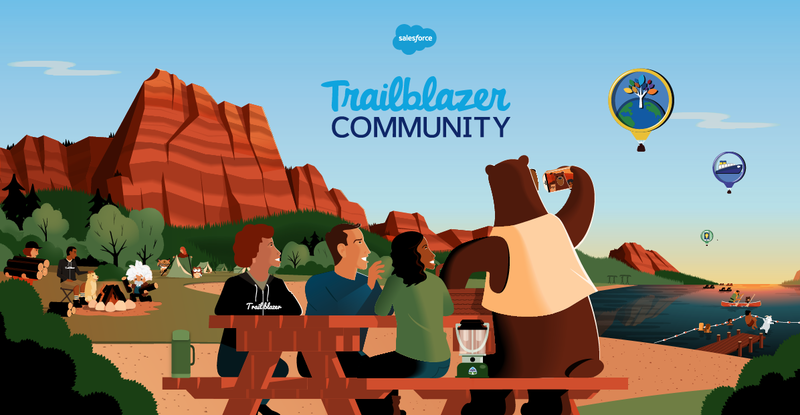 Please enjoy and share this quick overview of the Trailblazer Community, and check out a few ways to get started below.